Next week is April Vacation in Massachusetts and there’s a lot of budget-friendly activities to take advantage of. Hopefully the weather will (finally) be nice for a lot of outside fun as well! Discount Tickets and Deals for Boston Duck Tours for the 2018 season! The MFA is free on Wednesday evenings after 4pm and free for youths during school vacation weeks every day! Edaville Railroad opens for the season on April 14, 2018 and will be open for vacation week. Find Discount Tickets to Edaville Railroad. Don’t forget to check out Goldstar Boston for discount tickets and inexpensive events in the Boston area! 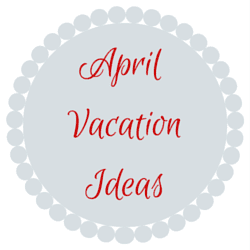 Let me know if I missed at fun or free events next week during April Vacation week!